Surprisingly, the United States is one of the easiest countries to open a bank account in as a non-resident. About a year ago, I flew to the US for the first time in nearly four years for two purposes. The first reason that I visited was to see some old friends who I hadn’t seen in a while. Not all of my friends in the US are able to come to visit me, so it’s good to come back and catch up on occasion. The second reason: to open US bank accounts. At the time, I was a US citizen, but even after I renounced my citizenship, I’ve been able to maintain those bank accounts rather easily. In fact, even if I wasn’t a citizen at the time, I would have been able to open a US bank account as a non-resident fairly easily. This comes as a surprise to most people since it’s becoming increasingly difficult for most people to open foreign bank accounts. 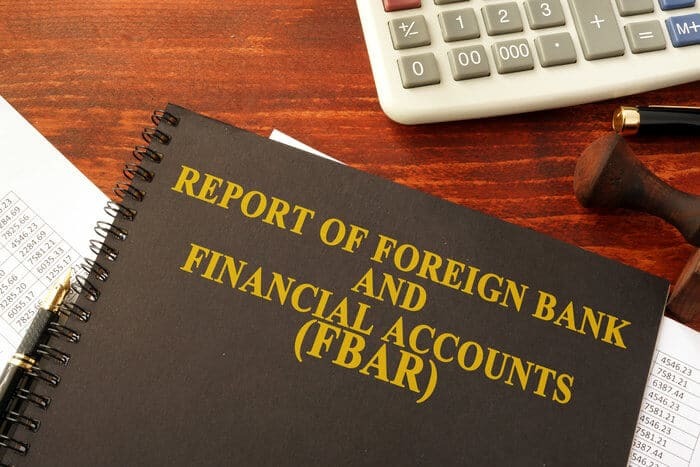 Banking hubs like Singapore and Hong Kong have made it near-impossible for foreigners to open new accounts, and laws like FATCA and the Common Reporting Standard (CRS) have made opening bank accounts in other countries even harder. In the US, however, you can open a bank account for yourself or your US businesses as a citizen, resident, or non-resident as long as you have the right paperwork. The US is perhaps one of the easiest places in the world to open a bank account. Along with countries like Georgia, it’s one of the few nations in the world where you can open a bank account as a non-resident with relatively little hassle. Even though I renounced my US passport, I still maintain several bank accounts in the United States. Many people are hesitant to do any kind of business in the US thanks to its reputation as a serial invader of privacy. However, while the US does quite a bit to monitor its citizens abroad through laws like FATCA, it doesn’t pay much attention to non-residents banking in the US. 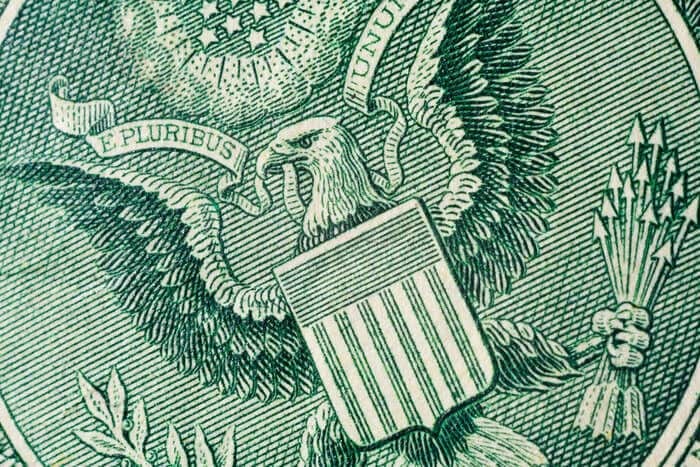 I personally find banking in the US to be quite easy, and there are plenty of benefits to opening a bank account in the US. However, while banking in the US is surprisingly simple, it does come with a few drawbacks. Although I haven’t lived in the US in years, I still maintain bank accounts there since its banking system is quite friendly to non-residents. Banking in the US comes with a handful of benefits that make it an appealing place to open a bank account. The largest benefit of opening a bank account in the US is that it’s an easy country to bank in. Setting up a bank account is rather simple even for non-residents, and sending money to other countries is relatively hassle-free. I often need to send money to different countries to buy property, and in some cases, the people I work with have warned me that I might not get it right away. Central banks sometimes hold transfers like this to investigate them, which can sometimes take nearly a month. When I send money from the US, however, I rarely have this issue – my transfer is usually cleared in the bank the next day. The US is well-connected in the global financial system, and other countries tend to trust money coming in from the US. People tend to ask fewer questions about transfers from the US than, say, Belize. Another benefit of banking in the US is that you get $250,000 in deposit insurance from the FDIC – more than anywhere else in the world, including Singapore and the EU. Even non-residents’ US bank accounts are insured by the FDIC. In fact, the US generally treats foreigners the same as citizens in the realm of banking – except when it comes to taxes. If you’re not a US person for tax reasons, then you don’t need to pay tax on any interest you earn. While there are plenty of benefits to opening a US bank account, there are also a handful of drawbacks to the US banking system. First, US banks aren’t the best banks in the world. Their liquidity is rather low, and interest rates aren’t great either – especially for non-residents. They’re also more prone to instability than banks in other developed countries. The US has one of the highest rates of bank failure among developed countries; the country has experienced numerous bank failures over the course of its history whereas similar countries have only experienced one or two instances – if any. The US government is also currently experiencing a period of political instability, which impacts the solvency of the FDIC. 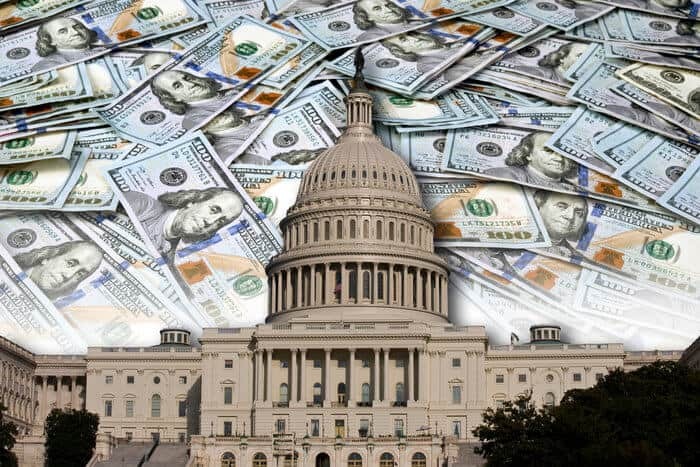 If one or two major banks failed, the FDIC would run out of money fairly quickly, so Congress would need to step in and allocate money to bail people out. While this has been done in the past, gridlock and instability continue to plague Congress, and just about anything seems possible under Trump. Another disadvantage of the US banking system is that you can only bank in US dollars. Unless you’re depositing millions of dollars into a private wealth account, then you’ll need to deal with exchange rates and fees if you deposit foreign currency. However, despite these potential problems, many non-US citizens still find banking in the US beneficial. Since the US is one of the easiest places in the world to open a bank account, you won’t have much trouble opening an account as a non-resident. As a non-resident, however, you likely won’t be able to open an account online. 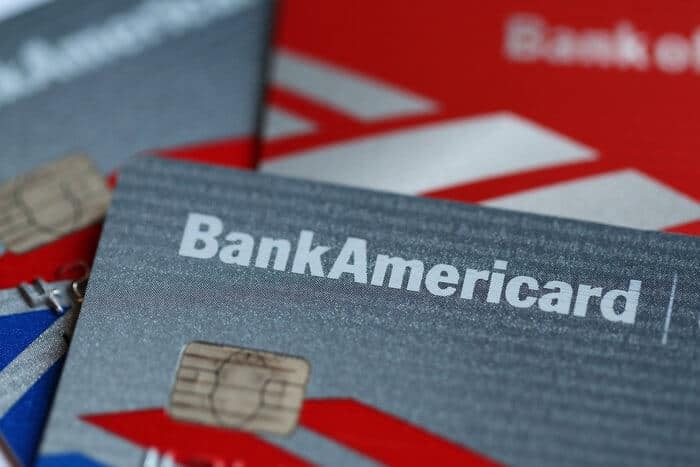 While you can sometimes open an account remotely if you have the right connections, banks in the US generally want people to open accounts in person, so if you want to open a US bank account, you should start planning your trip now. You will also need a handful of documents to open an account. First, you’ll need a government-issued ID, such as a passport, and you should also bring proof of address. Since banks in the US usually send important items like debit cards by mail, you will need to use a real mailing address to open your account. Additionally, you will likely need to provide information about your source of funds. When a friend of mine from outside of the US won a poker tournament in Las Vegas, he decided to open a bank account in the US to deposit his winnings. 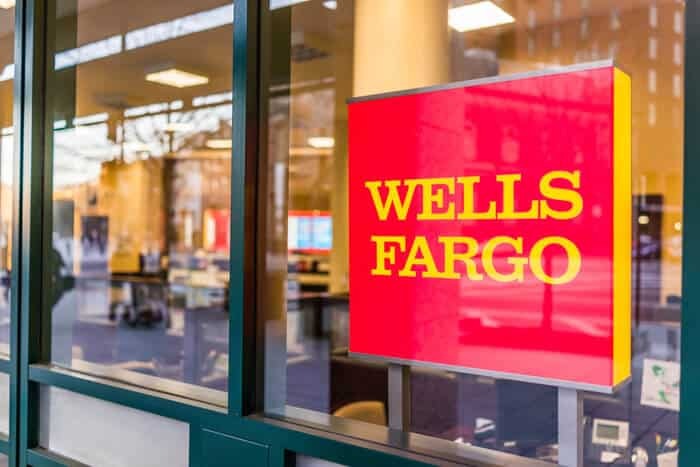 He went to Wells Fargo to open an account, and he had to provide proof that he earned his money in the tournament before the bank approved him. You will also need a minimum deposit to open the account. Luckily, minimum deposits in the US are usually fairly low, ranging from around $100 to $1,500. Although banking in the US isn’t that difficult, you’ll need to travel there and have a few items in order before opening an account. Finally, you may need to give the bank information about where you pay taxes. While the US isn’t a part of CRS, more banks have started asking for some tax information in light of increased worldwide regulation. If you spend most of your time in one country and pay taxes there, then that shouldn’t be much of an issue. 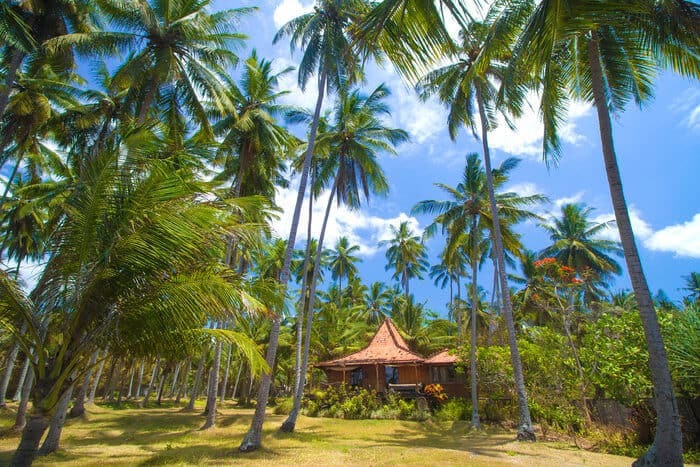 However, if you live the Nomad Capitalist lifestyle and are in the process of moving to a country where you aren’t required to pay tax, this can get trickier. Suppose you’re from Germany and have a German passport, but you’re in the process of moving to St. Kitts – a country with no income tax. If you tell the bank that you pay tax in Germany and they report that to the German government, that may cause problems since you’re in the process of leaving the country’s tax system. If you’re in a similar situation, then you should be honest with the bank, and you may want to seek professional help when setting up your account. In general, non-residents can open two types of bank accounts – personal and corporate. Nearly anyone can open a personal bank account, and as a non-resident, you’ll have more options with a personal account than a corporate one. However, if you have a US company, you can open a corporate account fairly easily as well. Non-residents can open a number of different personal accounts. Most banks will let you open a current account, which is commonly called a checking account in the US. You can also open a savings account at most banks as well. Some banks will also let you open a term deposit account like a one-year CD. With personal accounts, US banks will likely inquire about your source of funds, so you should be prepared to provide some kind of proof of where the money you’re depositing came from – whether it’s savings, capital gains, or any other legitimate source of income. You’ll also need to be prepared for hefty conversion charges. US banks generally only accept US dollars, and they’re not usually used to dealing with foreign currencies at the mass market level. However, as long as you have the right paperwork, you should be able to open a personal bank account in the US fairly easily. Corporate accounts can be a bit trickier. If you don’t already have a company in the US, then you will need to set one up before opening a corporate bank account. Unless you already have an established relationship with a bank or are depositing millions of dollars, then most US banks will not open an account for a foreign company. Luckily, non-residents can set up US LLCs without much trouble, and once you set up the LLC, you only need to file Form 5472 annually. Plus, when you set up a US LLC as a non-resident, you can take advantage of different tax benefits, and you can even incorporate US companies with foreign companies. If you’re interested in using US LLCs and US banking in your offshore strategy and need more personalized guidance, click here. Once you have a US company, setting up a corporate bank account is simple as long as you come prepared with the right documentation. Once you’ve made the decision to open a bank account in the US, you now need to decide where to open that account. 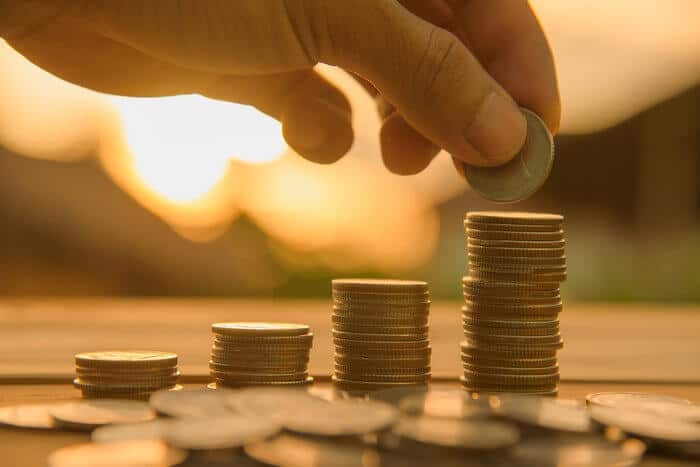 There are some challenges that can make finding a good bank in the US difficult for non-residents, but by following a few guidelines, you should be able to find one that works without much difficulty. The challenge with banking in the US is that the landscape is constantly changing – banks can fail or change their policies to make it more difficult for non-residents to manage their accounts seemingly overnight. This is why we help people with setting up US accounts at Nomad Capitalist. Another difficulty with the US banking system is that not all bank employees are well-trained, and they may not be familiar with their bank’s policies regarding non-residents. You may walk into a Wells Fargo or Bank of America, and the teller or manager may tell you that they don’t accept foreigners – even though those banks actually do. While you may have been rejected by an individual who wasn’t fully aware of the bank’s policies, you may still be able to open an account there with a different manager or at a different branch. Despite these challenges, you can still find a bank that will accept you as a non-resident fairly painlessly by following a few guidelines. You should first be aware of some of your limitations as a non-resident. Online banks like Capital One 360 or Allied Bank are usually out of the question for non-residents. Their high-interest savings account options are typically only for US citizens, and they’re not even very friendly toward US citizens living abroad who hold a basic checking account. When I had an account with Allied Bank, they hassled me frequently for being overseas, and they eventually closed my account – and this was before I had even started the process of renouncing my citizenship. Online banks, then, aren’t generally going to be an option for non-residents. Credit unions are also out of the question. They’re usually small and local, and they aren’t particularly open to non-residents looking to open overseas bank accounts. As a general rule, larger banks like US Bank, Chase, and Wells Fargo are more open to non-residents than smaller banks. Larger banks have less exposure than small, local banks or credit unions, which makes them more willing to take risks. If they get a bad apple, they have plenty of other accounts and can move on fairly easily. Smaller banks, on the other hand, will feel more heat if they have problems, so their risk tolerance is much lower. Even as a US citizen living abroad, I’ve had my share of problems with small banks in the US. When I went to open a bank account at a local bank in Arizona – a state where I was once a resident – the bank gave me a hard time initially. Then, once they finally opened an account for me, they closed it a week later because they didn’t think that I had enough ties to Arizona. Larger banks, then, are generally your friend. They’re not as paranoid about compliance as smaller banks, and they usually have solid features like Visa- or Mastercard-backed debit cards. If you’re thinking of opening a bank account in the US as a non-resident, large banks like Wells Fargo are usually your best bet. However, you may not be able to get the kind of service that you want with larger banks, and they’re not as technologically adept as offshore banks in other countries. Banks such as Bank of America or US Bank rely heavily on self-service functions like online banking, but their apps aren’t as advanced as those used by similar banks in countries like Singapore. While online banking in the US can make some of the simpler aspects of remote banking easier to deal with, you usually need a US phone number to manage your account – especially when you need to authorize large transfers or resolve complex issues over the phone. You can get a temporary SIM card when you visit the US, but that’s not going to work when you inevitably leave the country. Google Voice is certainly an option, but that comes with its own challenges as well. Larger banks also rely heavily on mail for sensitive items like debit cards, so you’ll need to have a mailing address that you can easily access if the bank sends anything to you. Despite these challenges, larger banks are still usually your best bet for opening a bank account as a non-resident simply because they are more willing to approve your account and work with you. However, if you want to open an account at a smaller bank where you can get more personalized, hands-on service, it is possible to find small banks that cater to non-residents. I work with a number of smaller banks in the US where I have a personal account manager who helps me with issues like wire transfers and resetting my online banking, and I have helped others set up similar accounts. If you’re interested in opening a bank account with a smaller bank in the US, click here to find out a little more about how I can help you. What has your experience been with US federal credit unions as a non-resident? From what I gather, they may let you keep an account you already have prior to expatriation, but they may not be keen on letting you start a new account as a new customer. BTW, one solution to the temporary SIM problem is to use a voice over IP (VoIP) provider that provides SMS: you purchase a VoIP direct inward dial (DID) number in a metro area where SMS is normally provided (such as +1 512 in Austin). Many VoIP providers support “SIP Presence” which allows the SMS messages to deliver through your preferred SIP/VoIP client, while others provide an SMS gateway and APIs for managing messages. This can be as easy as running a SIP/VoIP client on an Android phone, although you’ll typically have to follow the provider’s instructions exactly in order for everything to work as expected. As for payments, you top-up your balance at the VoIP provider mostly with credit cards, but some VoIP providers also accept PayPal. There may also be one now that accepts Bitcoin or Ethereum, which may be worth looking into.